The new SuperUtes series is continuing to build partnerships with manufacturers and key suppliers ahead of its debut at the Townsville 400 in July. Replacing the Ford Falcon and Holden Commodore-based V8 Ute category, SuperUtes will pitch dual-cab versions of popular lifestyle utes against each other. The first race for the new vehicles will take place at Townsville on July 7-9, with subsequent rounds scheduled for Ipswich, Bathurst, the Gold Coast and Newcastle. Supercars will unveil the first of the SuperUtes in Brisbane late next month ahead of the first test day in June. The Mitsubishi Triton, Mazda BT50 and Ford Ranger have already been homologated, while two more vehicles are expected to added to the list in the coming weeks. Each of the production-based vehicles will be fitted with a control Chrome Moly rollcage and a kit of control SuperUtes parts, targeted at $60,000. An announcement today has confirmed that the kit will include Supashock dampers and springs, building on the company’s involvement in the Virgin Australia Supercars Championship. Owner and Managing Director of Supashock, Oscar Fiorinotto, says his South Australian-based company is looking forward to the first race of the new SuperUtes at the Townsville 400. “We’ve taken great pride in manufacturing and supplying high performance shocks and springs to the Virgin Australia Supercars Championship teams for many years,” Fiorinotto said. Another Australian company, MoTeC, will supply the control Engine Control Unit and data/display package. The MoTeC ECU will be integrated with the factory wiring harness and ECU of each vehicle, allowing the category’s technical team to control engine torque and horsepower for parity. Wheels for the SuperUtes will come from Australia’s leading alloy wheel distributor, PDW, while a control tyre to match the 20” rims is also close to being locked down. “The initial design process is now completed on three of Australia’s most-popular dual cabs while at least two others are expected to be completed in the coming weeks. 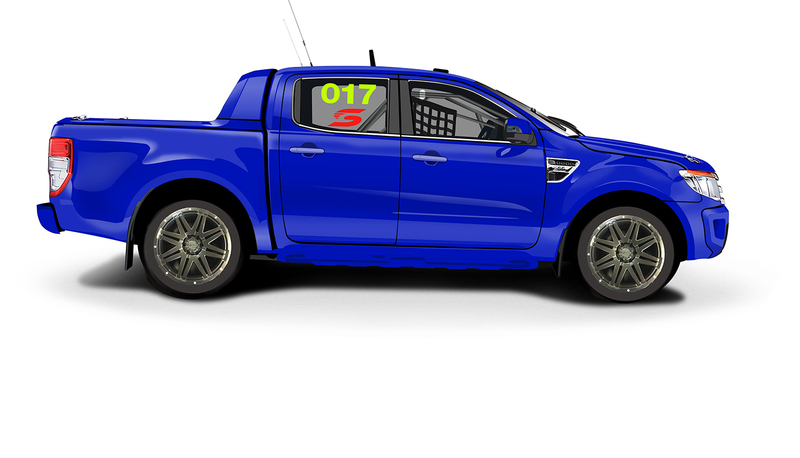 “We’ve got several of Australia’s leading manufacturers and suppliers on board who have provided great assistance in our design process and all involved are excited to see the first completed SuperUte.